Not long into his tenure with the Wolves, Wes Jarvis was having second thoughts. The 17-year-old Toronto native had been selected in the second round by Sudbury in the 1975 Ontario Hockey Association Entry Draft, but early into the 1975-76 season, Jarvis found himself in and out of the lineup. 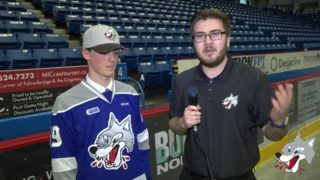 With his junior career off to a frustrating start, the Wolves’ rookie decided he needed to have a conversation with the club’s general manager, Joe Drago, and head coach, Jerry Toppazzini. Jarvis told the pair that he was thinking about going home in order to pursue better playing opportunities. “I didn’t want to play a few shifts a game or not play at all, and I knew I could play so I thought about going back home to play tier two,” Jarvis recently reminisced. After putting his cards on the table, Jarvis remembers Toppazzini asking him to have some patience, as the team had plans for him. No more than a few days later, the Wolves acquired right wing Randy Pierce from the Ottawa 67’s. 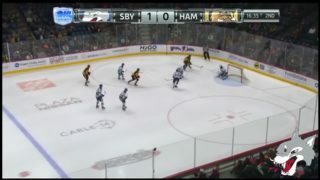 At the time of the transaction, Sudbury’s top line, which happened to be the league’s top-scoring unit, consisted of Rod Schutt on left wing, Ron Duguay down the middle and Alex McKendry on the right side, but with Pierce joining the squad, Toppazzini felt like he needed to shake up his lines to spread out his offensive talent. Jarvis, who just a few days earlier was contemplating packing his bags, now found himself anchoring a line that included Schutt and the newcomer from Ottawa. “I’m sure Rod rolled his eyes a little bit because he had been playing with Ron Duguay and all of sudden he’s with Wes Jarvis, who wasn’t even in the lineup a couple games ago,” Jarvis remembered. If Schutt did have any reservations about his new centreman, those concerns quickly evaporated. In the first contest they played together, a road game in Windsor, Schutt scored four goals. Jarvis assisted on all of them and even added a marker of his own. “After that, I don’t think he had too much problem with it,” Jarvis laughed. Following the game, Jarvis recalls Toppazzini chuckling at him when he got on the bus that night. The reality that the team’s new top line pivot, who had seen limited action up to that mark in the campaign, had just recorded a five-point performance was not lost on the Wolves’ bench boss. Toppazzini was humbled enough to tell Jarvis that he certainly didn’t waste the opportunity. “He was very forthcoming,” Jarvis explained. “He recognized that he didn’t play me the first couple of weeks and then he played me and I got five points. Not a lot of coaches do that,” he added. The chemistry between Schutt and Jarvis was not an aberration. Schutt went on to score 52 more goals that season skating with Jarvis and Pierce, to bring his total up to a record-setting 72. Meanwhile, Jarvis finished the year with 48 assists. “I think Jerry recognized he needed more balance scoring, but I think he also recognized Rod was a shoot first type of guy. He wasn’t a selfish player, but he had a great shot, so he would always shoot first because he could really hammer the puck,” Jarvis explained. Schutt’s style certainly complemented Jarvis’s skillset. “I was a pass first guy and that’s the way I played my whole career. I understood that Rod Schutt was a potential first-round pick who could shoot the puck, so when I got out with him, I was going to give him the puck as much as I could,” he added. “He wasn’t a huge guy but he was stocky and strong, and he could bowl his way down the left side and get open and just rip the puck,” Jarvis continued. On and off the ice, the pair got along royally. “We were on the same page,” Jarvis noted. Thinking back to that memorable season, he can’t recall a time where the pair had a disagreement or exchange of any kind. “We were on the same page for most of the year and right through the playoffs.” After the team’s deep run in the postseason, which saw them finish just two wins shy of the J. Ross Robertson Cup, Schutt was selected 13th overall in the NHL Amateur Draft by the Montreal Canadiens. 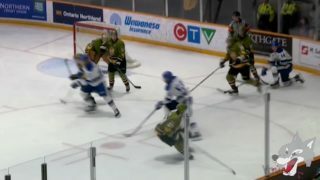 The following year, while his linemate graduated to the pros, Jarvis returned to the Wolves, scoring 36 goals and 96 points. The two would cross paths again years later in the professional ranks. After starting his NHL career with the Washington Capitals, Jarvis found himself playing extensively in the American Hockey League (AHL), with some stops along the way with the Minnesota North Stars and Los Angeles Kings before he signed with the Toronto Maple Leafs as a free agent in 1984. 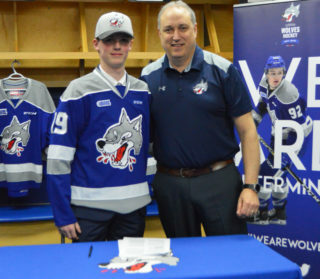 A year later, Schutt inked a contract with the Maple Leafs and the two were reunited in Toronto and in St. Catharines, where the club’s AHL affiliate played. “It was fun times again playing together and doing our thing. It was like we had been playing together all along,” Jarvis remembered. “We didn’t have the same kind of success we had in Sudbury because we didn’t play as much, but we played together again. It was fun,” he added. In the years following his junior career, Jarvis found himself returning to the Sudbury Community Arena, this time on the opposite bench as an assistant coach of the Barrie Colts. But returning to watch the Wolves retire Schutt’s number will be a special evening for the former teammates. “I have a lot of respect for Rod. I have a lot of respect for him as a human first. I’ve got a lot of time for Rod Schutt,” Jarvis exclaimed. “I played with him every day, I was on the bus with him and in the dressing room with him. I just know the human that he is and the player that he was. He absolutely 100% deserves to get his sweater there and I just want to be there to support and see it happen. I think it’s important,” he noted. For Jarvis, who had doubts about his future with the Wolves, sticking around certainly proved to be the right decision. He’s now part of the history and celebration in the rafters. Jarvis was a driving force in Schutt’s 72-goal virtuoso performance and an integral part of the team’s postseason run in 1976. When he looks back on his 15 year hockey career, he still ranks 1975-76 as the best year ever. 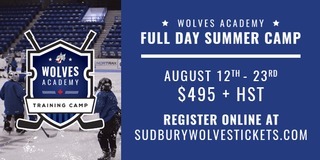 “There was a real fever in Sudbury about the Wolves. I’ve never experienced anything like it ever again. 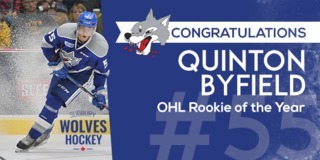 Maybe with the Leafs being a hometown guy, but it wasn’t the same as in Sudbury. You were living it and breathing it every day. It was amazing. I look back with very fond memories,” Jarvis recalled. The Wolves will be retiring Rod Schutt’s number on November 2, 2018, in a pre-game ceremony before taking on the Erie Otters. Tickets are available at greatersudbury.ca/tickets.